There are many minor dental issues affecting the beauty of your smile that can be repaired simply through the use of a treatment called bonding. These minor issues can include teeth that are slightly discolored, chipped, or crooked. Bonding involves using a white filling to correct these minor dental problems. The most positive aspect of bonding is that the filling comes in many tooth-colored shades that your dentist can use to match the natural color of your teeth. With a minimal cost and virtually no discomfort, this treatment is effective in obtaining maximum aesthetic appeal. The same filling that is used for bonding is also commonly used to fill cavities. 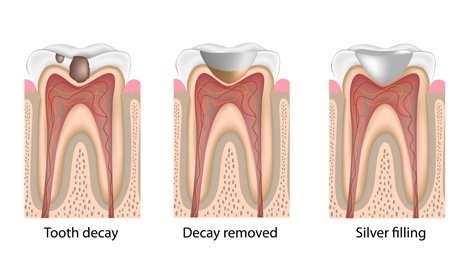 This treatment has largely replaced the silver amalgam that was widely used in the past. The white bonding filling has eliminated a couple of the disadvantages that marked the silver fillings. First, the silver filling is quite noticeable and does not blend in with the natural color of the other teeth. This can distract from a bright, beautiful smile and is less aesthetically pleasing. Also, the silver amalgam has developed a reputation for cracking easily. Bonding leaves a very natural look. Bonding is a less-expensive option than some other cosmetic treatments. Bonding can usually be completed in one office visit. Bonding can be repaired easily in the unlikely event that it breaks or chips. In many cases, patients who have had silver fillings earlier in their lives may find it useful to replace those silver fillings with bonding. It is never too late to work on brightening up that smile!